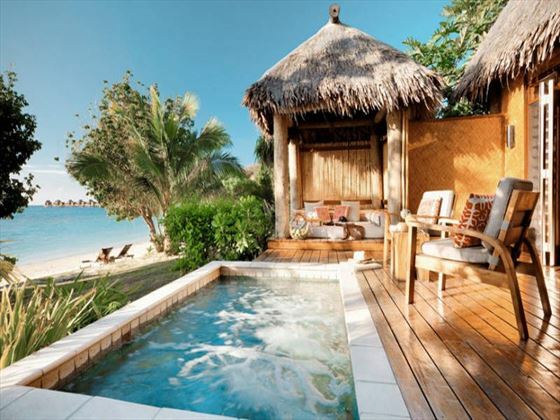 Likuliku Lagoon Resort is a luxury, adult-only hideaway ideal for couples looking for a romantic stay in a stunning destination. 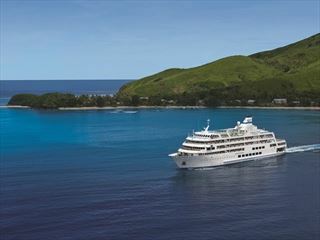 With a name that means ‘calm waters’, you can be guaranteed a truly peaceful and relaxed holiday in Fiji. The facilities are amazing with super romantic over-water bures, a beautiful infinity edge swimming pool and the indulgent Tatadra Spa. But it’s the little touches that really make Likuliku special, like complimentary Fiji Water and freshly baked cookies in your room every day. 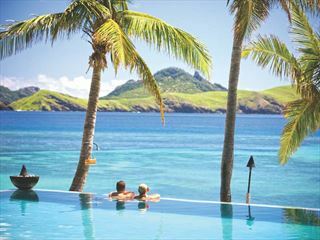 The sits in a stunning lagoon on Malolo Island, perfectly positioned to enjoy the tranquil ocean scenery of Fiji. 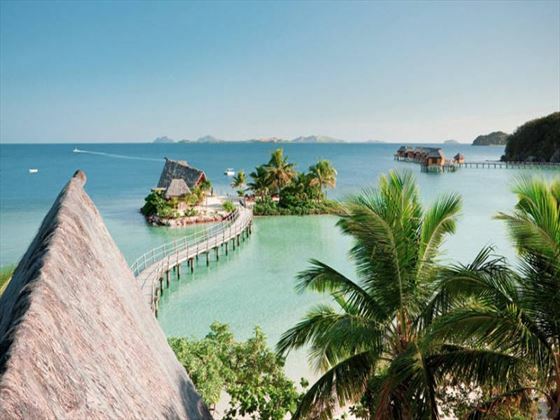 The resort is around 16 miles from Nadi International Airport. 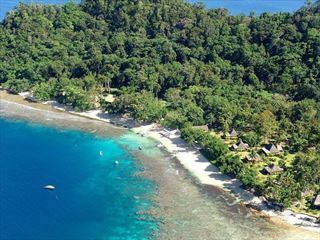 The stretch of water in between means your options for transfers include catamaran, speedboat, seaplane or helicopter. 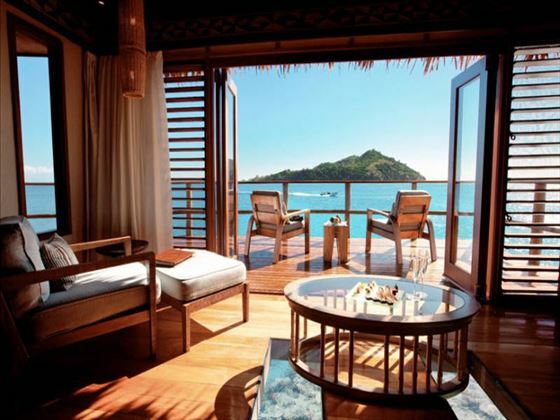 Whichever way you choose you can look forward to scintillating views of the Pacific Ocean.